The SMSC Simulator is a service for near-to-live testing of your SMPP applications without need of access to real SMSC. The application behaves as a real SMSC with SMPP interface, your application can bind to it, submit_sm, deliver_sm, unbind, however nothing will get delivered anywhere as all the responses are only made-up by the Simulator. The Mobile Server is a simulator, since the SMSC Simulator can't send real short message to mobile user, so it will forward short message between SMSC and mobile phone simulator. SMPP stands for Short Message Peer to Peer. In general, you can download the source code of the library and other applications as well and look how we've done what we've done. Please, read the detailed license. The SMPP Library is set of classes for communication with SMSC using SMPP protocol. Our SMPP Java library implements version 3.4 of the SMPP protocol. The version 1.1 was released on 12/10/2001. See the list of changes on the download page. The Simulator is an application for near-to-live testing of your SMPP applications without need of access to real SMSC. The Simulator also supports multiple connection; the authentication information is stored in user configuration file users.txt. The SMSC Simulator is written in Java. To communicate with clients the version 1.1 of the Simulator uses version 1.2 of the SMPP Library. Use proper pathnames if your jar file(s) are located somewhere else. See the list of changes on the download page. 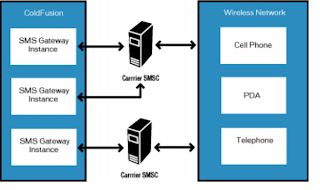 It shows how to bind to SMSC, how to send different types of messages (PDUs) to the SMSC (submit, data, cancel etc. ), receive a message from SMSC and finally unbind. If you are new to SMPP it's wise to use this test application together with our SMSC Simulator so that you don't need to bind to the real SMSC. However, this test application will correctly communicate with the real SMSC as well. Interface for sending and receiving SMS using SMPP DTD based XML documents. XML interface will be a separate library sitting on top of the SMPP library and it will utilize one of the third party open source XML parsers.